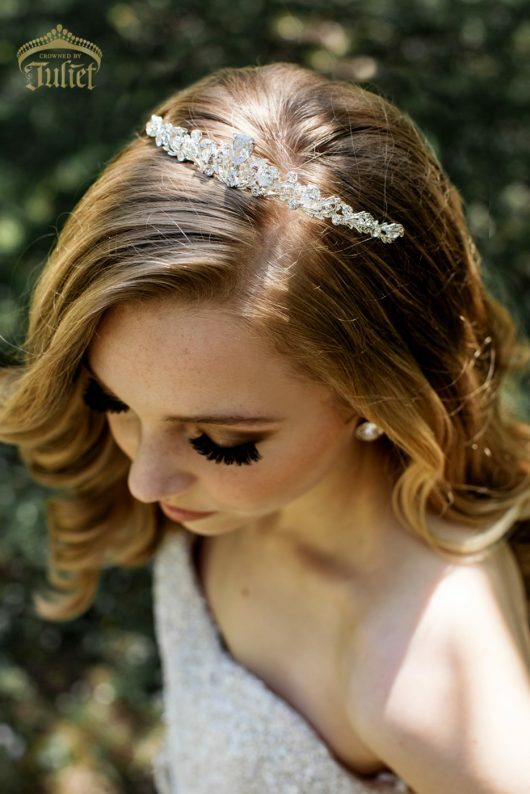 Laden with pendeloque-shaped AAA cubic zirconia diamonds and pavé Austrian crystals on its paisley leaves, the delicate GALADRIEL TIARA absolutely emanates silvery and prismatic light. 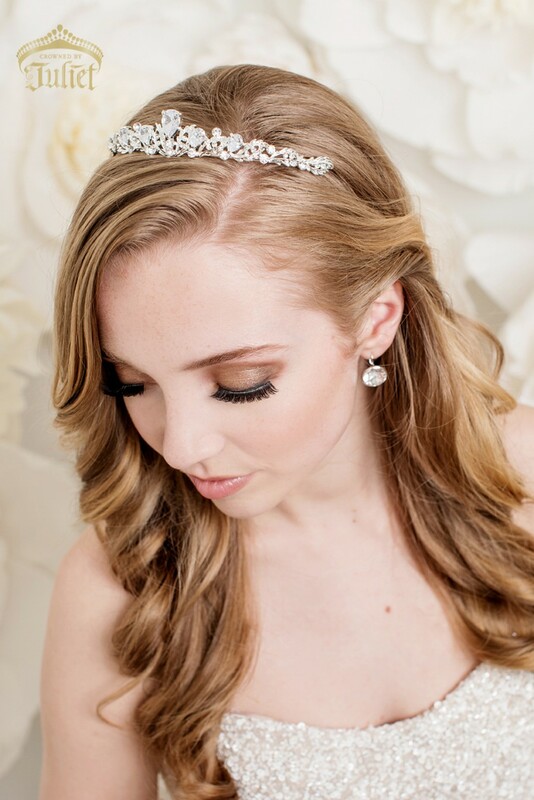 Though subtle in stature, Galadriel adds a dazzling quality to your bridal hairstyle. 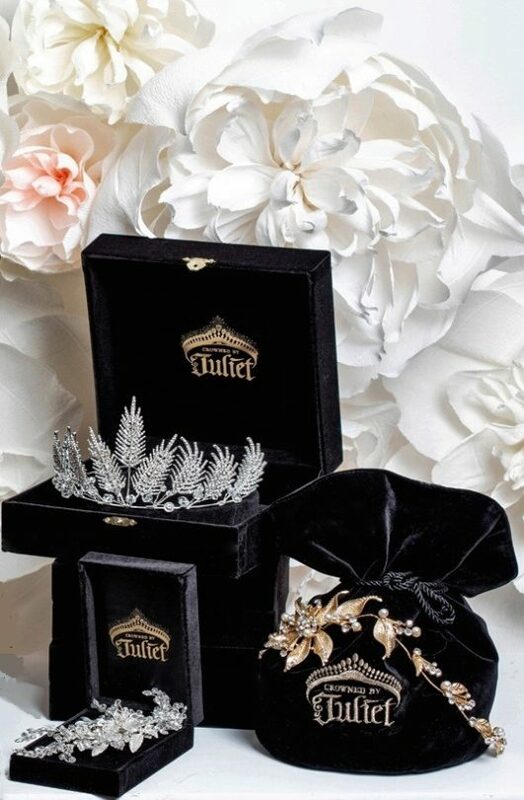 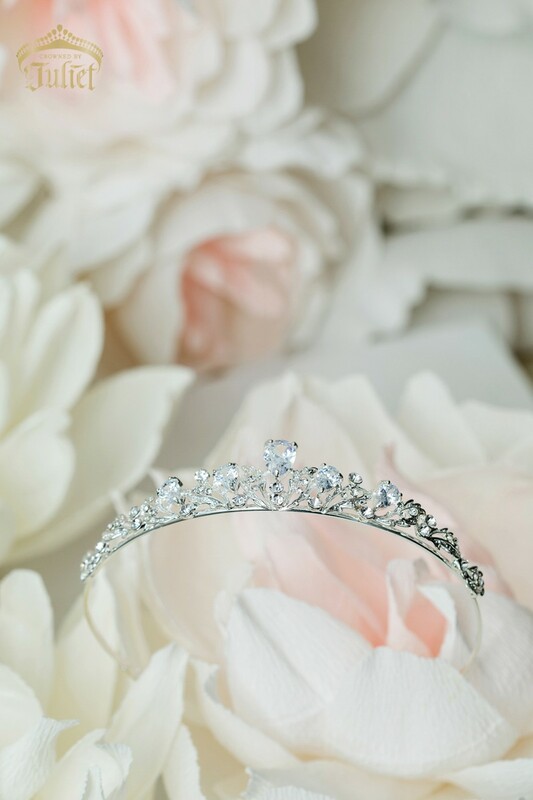 We like to believe that Elven princesses dance in the moonlight wearing tiaras such as this. 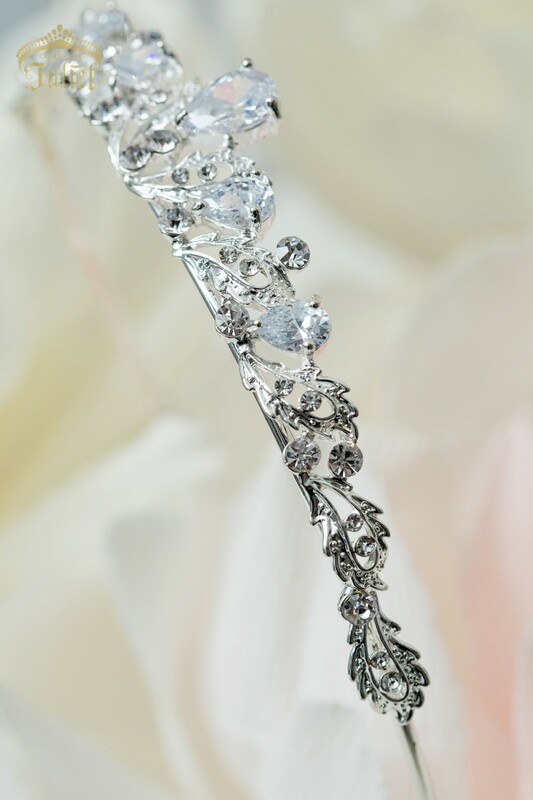 Anchor loops can be used with hair clips or bobby pins to secure the tiara.